Half Niqab is used together with a scarf while covering the face starting from under the eyes. Half Niqab gives you opportunity have your niqab stable on your face with its smooth band. 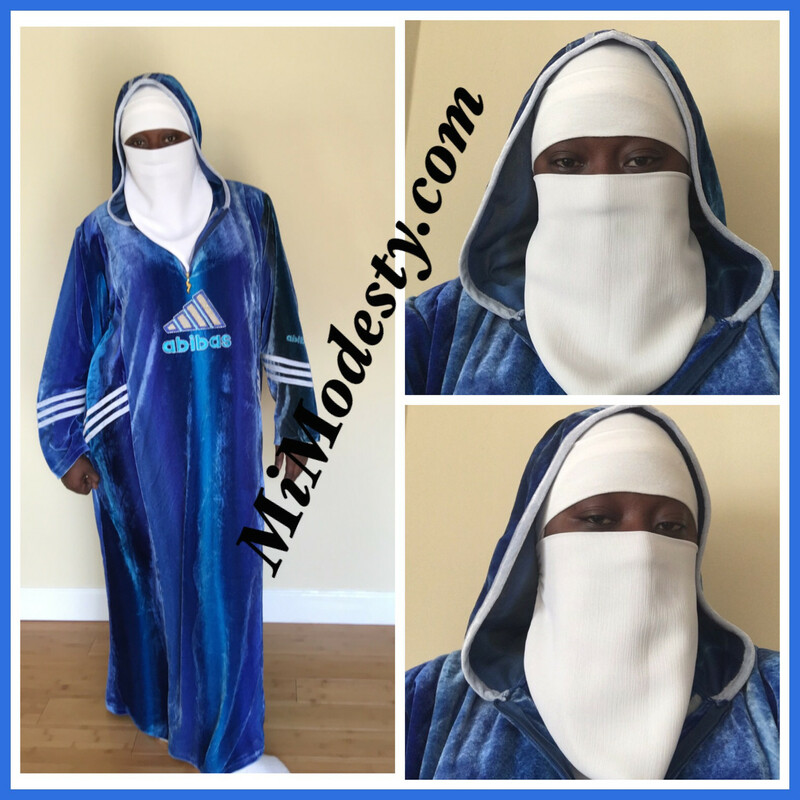 You can buy this half niqab that is made of very light and breathing soft crepe. It is available in standard size and in 5 colors. BLACK, BROWN, WHITE, GREY, BURGUNDY. Myhalf Scarf's length is 1 meter and 10 centimeters (43.4 inches) and it is square.